A few months ago I was thinking that naan bread would make a good crust for quick pizzas. I wrote it on my “to try” list and then ignored the list all summer. Then, this week, I picked up the America’s Test Kitchen magazine “6 Ingredient Recipes” (which is on newsstands now until October 20 and it’s great!) and guess what they had as one of the recipes? Naan pizza! I decided to finally get my act together and give it a try. This past Sunday I was planning to make homemade pizza. I have really perfected the pizza-making process (not to brag or anything) and was looking forward to having pizza for dinner. (Here is my crust recipe – I will also be doing a full post about making homemade pizza soon, so keep an eye out.) But Sunday ended up being really busy as well as ridiculously hot. I simply didn’t feel like turning my oven on at 550º F for 2-3 hours. 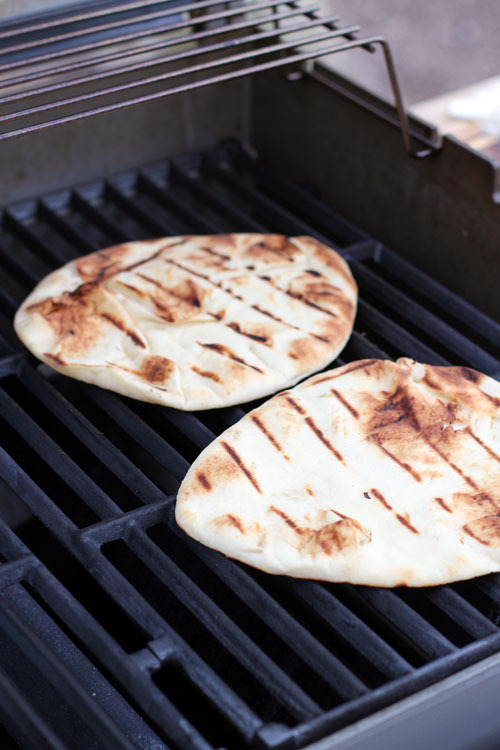 So, I broke out the naan bread and fired up the grill! 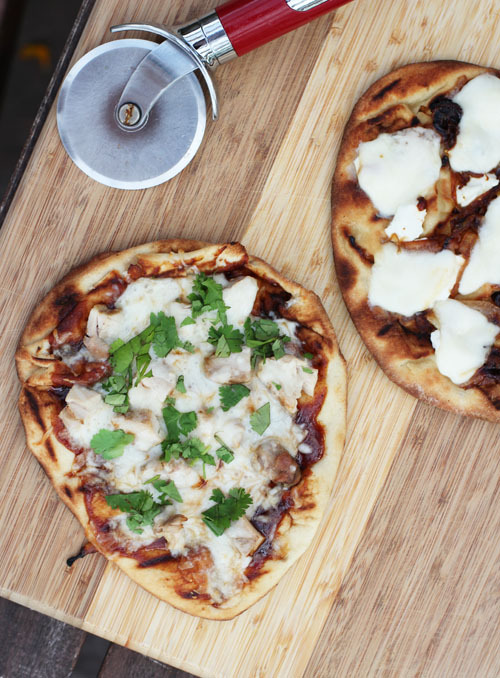 Naan bread works perfectly as a pizza crust. Following the technique below, it gets nice and crispy on the bottom but still has some chew, and it’s just so quick and easy! 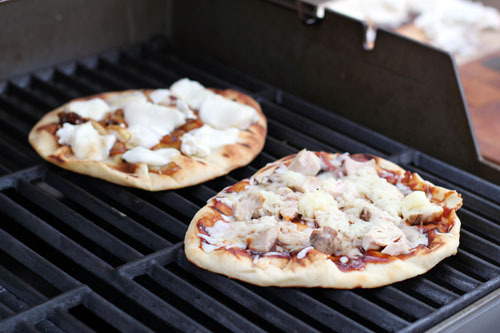 Making the naan pizzas on the grill worked beautifully, but I also cooked one in the oven and that worked great, too. 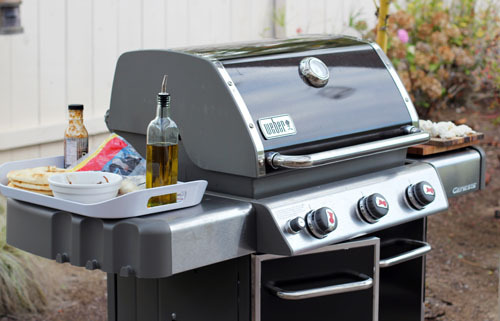 If I had to choose I would go with the grill, but you can’t lose either way! Naan pizzas are also a great lunch option – I made one for myself yesterday in the toaster oven and it was quick and painless! For the record, I love my homemade crust more. 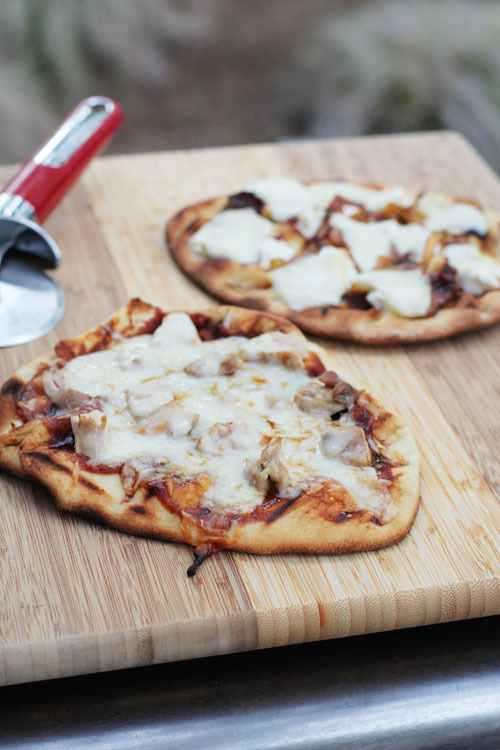 But these naan pizzas are still pretty amazing and are perfect for when you need a good homemade pizza cheat!